Quirky Cordies Desktop Cable Management Just $5.44! You are here: Home / Great Deals / Amazon Deals / Quirky Cordies Desktop Cable Management Just $5.44! Organize all your desktop cables! 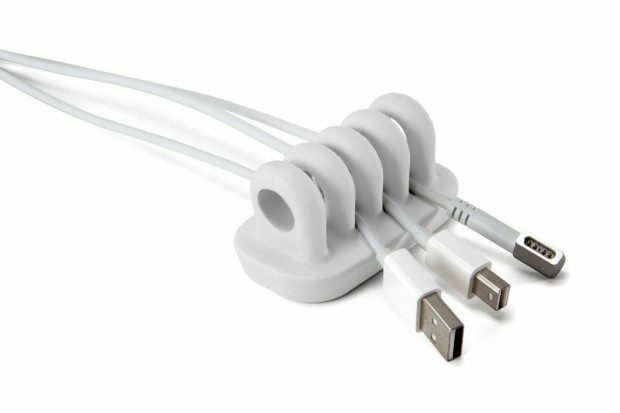 Head over to Amazon and order the Quirky Cordies Desktop Cable Management for Just $5.44! Prime members and orders of $35+ get FREE Shipping! This desktop cable management system that organizes your various computer cables while also keeping them weighted down so they don’t slide off your desk when disconnected. This playful form, small size, makes it a product you’ll love to keep on your desk!